I made some more things! Things that aren’t for me, so get ready for some monochromatic madness! Remember that red Style Arc Adeline I made for Anne? Well, it was a wearable muslin for this one, made with Liverpool from Cali Fabrics. Here’s my whole blog post about it! I’m really fond of this pattern – thank you to everyone who suggested it when I was asking for advice on Instagram! 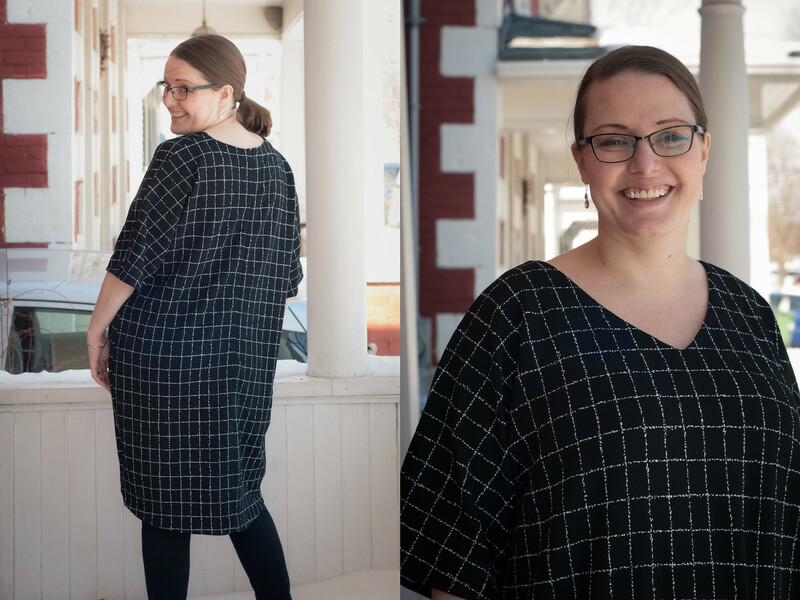 The neckline is so pretty on Anne, and the cocoon shaping at the side seams makes it more elegant than a typical boxy dress. Anne does so much work behind the scenes for the Sewcialists, and I like being able to dress her in pretty things in return! You guessed it – another Cali Fabric Blog creation! I KNEW I needed to get this checkered knit for Jamie to match his most recent tattoo, and I love the end result! This is the Thread Theory Sayward Raglan, which I’ve made him before. I have to admit, I’m almost considering learning to make him button up shirts just so we can choose cool prints together! 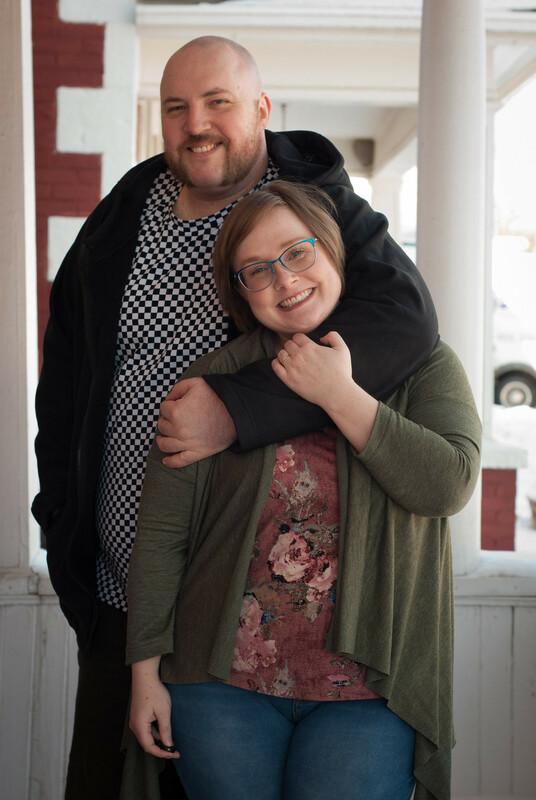 Anyone else with a tall partner get the “accidental chokehold” pose in photos?? He is a champ for modelling… and hey, lets consider his shorts and windproof hoodie as “blogged” now, shall we? What a generous sewist you are! Jamie’s top matches his new tattoo excellently. And Anne always looks adorable in the clothes that you make for her. BTW – I love your porch. The brick work is beautiful as is the tunnel sight-line. Your partner is so cute! I should see more for my own big sweetie! 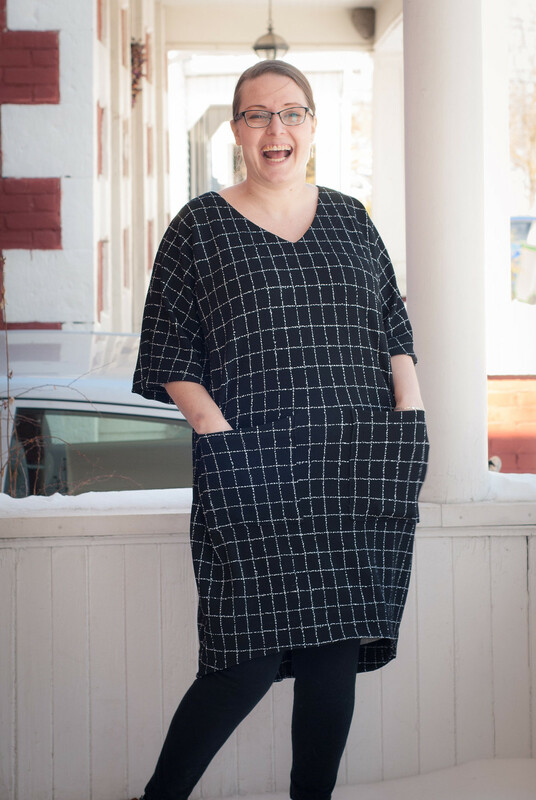 Any other patterns patterns that you’ve found to be good for the big and tall? Hiya! I sew quite a lot of basics for Jamie – underwear, hoodies, and the odd t-shirt. I ventured into pants and shorts this year, but can’t find a pattern in the right size range. It’s really frustrating! I do love sewing for him though, cause everyone deserves clothing that represents them, right? 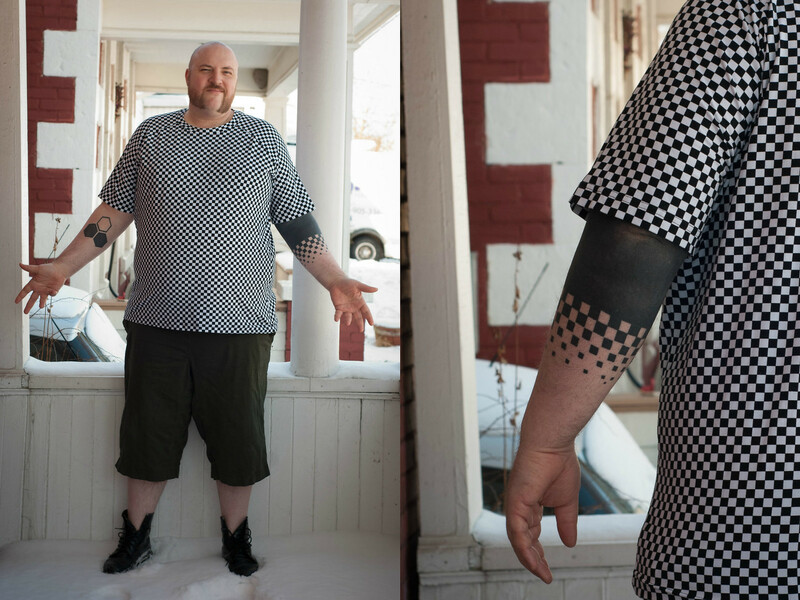 Here’s a post I wrote on the Sewcialists recently about sewing menswear https://thesewcialists.com/2019/02/27/sewing-for-plus-size-men/ Here’s a post about the same t-shirt pattern i used this time https://craftingarainbow.com/2018/05/23/go-read-my-post-over-on-thread-theorys-blog/ and one of the hoodies I’ve made him! https://craftingarainbow.com/2018/02/22/fantastic-four-hoodie/ If you find any great patterns, let me know!! !